In the world of Norse mythology, we find gods and goddesses, giants, strange and powerful creatures, elves, dwarves and land spirits. 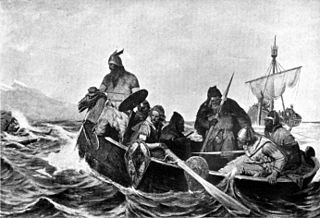 It is difficult for a 21st century person to conceive of the worldview of the Vikings, brimming as it was with such a variety of spiritual beings. 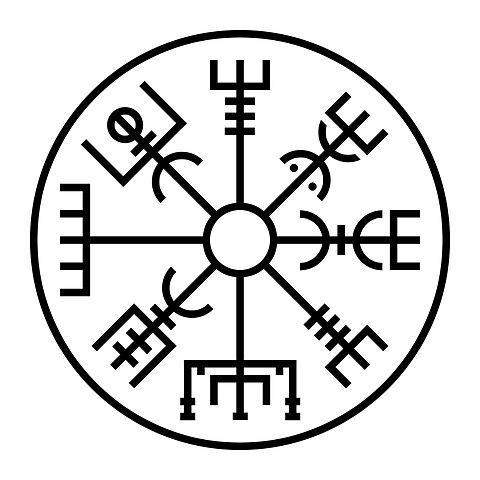 The center of the Vikings’ cosmos is the ash tree Yggdrasil, growing out of the Well of Urd. Yggdrasil holds the Nine Worlds, home of gods, man and all spiritual beings. The gods live in Asgard and Vanaheim and humans inhabit Midgard. Giants live in Jotunheim, elves in Alfheim and dwarves in Svartalfheim. Another is the primordial world of ice, Niflheim, while Muspelheim is the world of fire. The last world comprises Hel, the land of the dead, ruled by the goddess Hel. The gods and goddesses venerated by the Vikings are Odin, Thor, Loki, Baldur, Frigg, Freya, Freyr and Njoror. There are many other gods and goddesses in the Norse pantheon but these received the primary attention in the sagas and eddas. Giant is not a good name for these spiritual beings; think of them as devourers, out to destroy order and return the world to primeval chaos. They are the enemies of gods, but also their relatives. Giants are dangerous to mankind, which is why Thor often hunts them. Elves and dwarves appear in the sagas, but are different from what we might picture them to be. Dwarves are miners and smiths and live underground. They are invisible, powerful spiritual beings, not short humans. Elves are also spiritual beings, demi-gods who can mate with mankind and have children with them. Land spirits inhabit everything on the land—trees, herbs, stones and bodies of water. The land spirits (landvaettir in Old Norse) hold considerable power over the well being of the land and those who live on it. People took care to honor and placate the landvaettir. In the first law of Iceland, Vikings were told to remove the dragon heads from their ships when approaching land so they wouldn’t frighten the land spirits. Norse mythology is intricate and complex and we’ve presented just the barest bones here. See the resources page for further information on this fascinating aspect of the Vikings’ belief system.